If you unfamiliar with this area of please read the following hopefully it will be informative for you. Overview of how they are operated and what they can do. 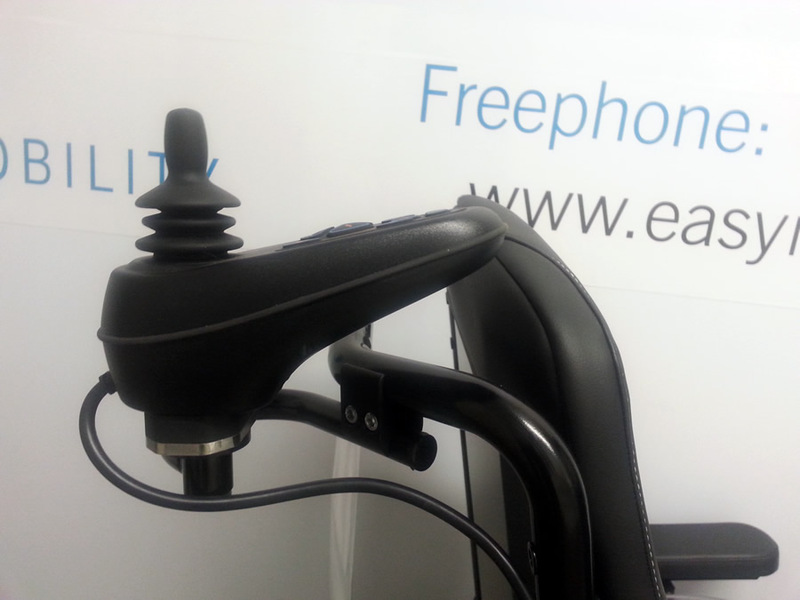 These are mounted left or right handed as required at the front of the chair. All powered wheelchair controls operate in a similar fashion, when switched on or switched off, the brakes are on, and movement is not possible, until the control stick is moved when the control is switched on. So a very good habit is not to have the control switched on when embarking or dis embarking from the chair as if anything touches the control stick the chair will move. 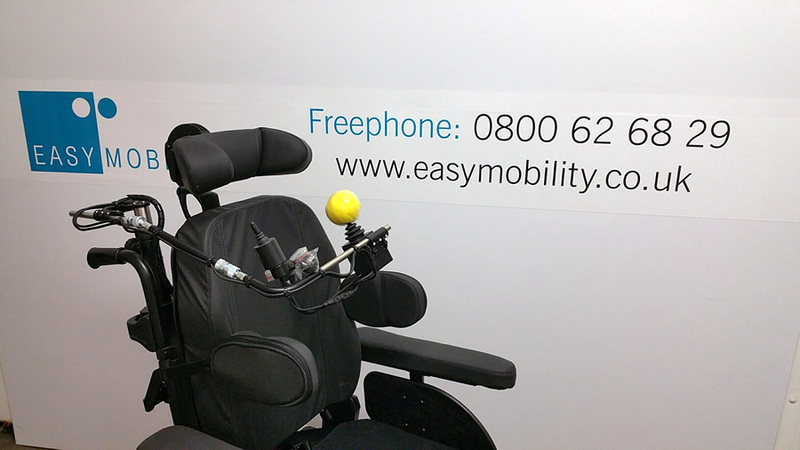 Chin control adaption for wheelchairs has given many people the ability to be independent to control their own locations or change electrically operated functions that are fitted on their powered wheelchair such as; Backrest adjustments, Tilt in Space Seating Adjustment, Leg Rests and Seat Raisers, all without the use of their hands. Very useful when the client has good and bad days, or is OK in their home environment but needs assistance when out. Two Controls are fitted one at the front and one at the rear, the master switch is at the rear controlling, which is operation front or rear. This is when the normal front control is fitted at the rear, as the client has not the ability to control the chair or has no desire to. Total control is by the carer controlling from the rear. Other Control systems are available, Chin Controls, Table Top Controls, and Head Controls to mention just a few, for further information please enquire. *Remembering these rear wheel drive chairs are easier to drive from the rear.